Price listed is for three cameos in settings. 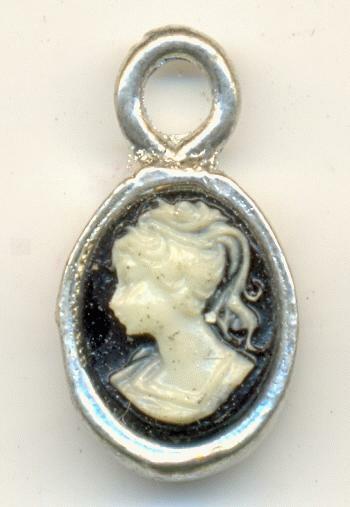 These are 10mm by 8mm black and white plastic cameos in silver cast settings that measure about 18mm by 10mm. It appears these are all facing left. However, there could be a few right facing cameos hiding in the mix somewhere.